You are here: Home / Topic of the month / Are we animal welfare advocates or profit-seekers? David Main is Professor of Animal Welfare at Bristol Veterinary School. His research interests are welfare assessment, intervention strategies to improve welfare and animal welfare education. He is a former member of the Farm Animal Welfare Council, and current member of Soil Association Council. 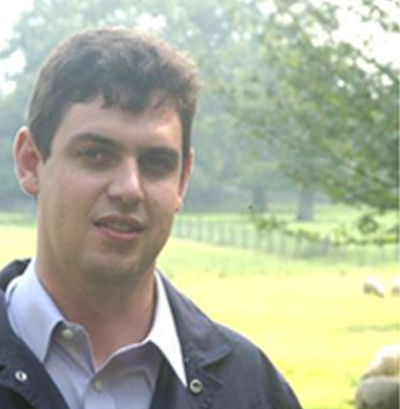 He is project co-ordinator of the AssureWel project; a collaboration with RSPCA and Soil Association, that aims to embed welfare outcomes into the assurance process of certification schemes. He was principle investigator for the Healthy Feet project that has been widely adopted by the dairy industry and he is also part of the EU WelNet project that is a network of welfare scientists providing welfare advice to the European Commission. The recent survey from the Vet Futures project shows that the public place a high degree of trust in the veterinary profession. Despite this encouraging assessment I will argue in this article that the profession should work harder to deliver on a societal expectation for us to be animal welfare advocates and that it ought to introduce safeguards against profit-seeking influences on our clinical decisions. Individual clinicians would be well justified to say that their daily ambition in veterinary practice is to promote the interests of animals in their care. However, a minimal scratch below the surface reveals obvious tensions in this well-intentioned mantra within the profession. At an organisational level, the BVA can be applauded for campaigning for stunning at slaughter. However, this campaign is relatively uncontroversial as it does not conflict with the interests of clients of many BVA members. Could you imagine the BVA launching a public campaign encouraging the pig industry to change its husbandry system in order to reduce the need for tail docking in pigs or improving the prevention and treatment of lameness of dairy cows? It requires strong leadership for the profession to discuss issues that raise difficulties for clients that pay the practice bills. Hopefully discussion around the BVA Animal Welfare Strategy will focus our attention on such issues. Veterinarians could perhaps also do more at an individual level to act as animal welfare advocates. It is easy to inform clients on the technical rationale for a specific husbandry change but then walk away knowing full well the client will not action the advice. In the medical profession, advanced communication techniques are becoming more widely adopted to promote positive change within their patients. Perhaps we should be more explicit in teaching our veterinary students influencing skills. Advocacy requires us to promote our patient’s rather than our client’s interests at both an organisation and individual clinician level. Whilst the profession is clearly focused on our client’s interests, widespread profit seeking behaviour amongst clinicians is unlikely. Clients are likely to avoid veterinary surgeons that they perceive to be focused on performing unnecessary expensive treatments. Furthermore, you do not talk need to talk to many veterinary clinicians to realise that money is rarely a primary driver. I have also argued previously that offering the best veterinary treatments from the animal’s point of view is very often the most profitable for the practice. In practice I suggest that many veterinarians fail to offer the best treatment as they are overly worried about the financial impact on the owner. Since it is not our role to make judgments on how our clients should spend their money, our default position should be to offer the best treatment option. However, we should be careful to avoid causing guilt amongst owners that are not able to afford the treatment. Concentrating on the animal’s interest need not conflict with a legitimate need to operate a profitable veterinary business. However, perceptions as well as reality matters amongst our clients and society. 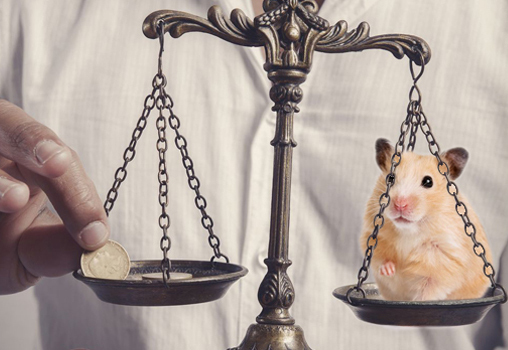 The obvious difference between the business structure of veterinary and medical practitioners in the UK means the profession will always be at risk of challenge for excessive profiteering. Since we still live in the age of the media scare story it would seem prudent for the profession to embed some anti-profit seeking safeguards in our regulatory controls before, rather than after, a problem is highlighted. A potential safeguard could be a prohibition within the RCVS Practice Standards Scheme of crude turnover-based incentives. Salary based on performance, of course, is a legitimate management tool, but incentives could be based on health outcomes rather than simply selling more stuff. A debate at a practice or national level on the nature of these safeguards could be a healthy demonstration of the profession’s desire to act as animal advocates. https://www.vetfutures.org.uk/wp-content/uploads/2015/08/Aug15-FI2.jpg 350 508 VF Press Office https://vetfutures.org.uk/wp-content/uploads/2014/11/VF-logo3.png VF Press Office2015-08-06 09:49:492019-01-07 15:21:32Are we animal welfare advocates or profit-seekers? The academic Professor’s title “Are we animal welfare advocates or profit-seekers?” is both pejorative and an example of a false dichotomy. Whilst it is difficult to marshal a comprehensive argument in fewer than 700 words, Professor Main’s could have been more fluent. To begin with he fails to demarcate the differences in approach in veterinary practice required where the clients are professional animal keepers depending on their enterprise for their livelihoods and where they are clients with animals viewed as members of clients’ families. This undermines the credibility of his universal question. Furthermore, later in his piece, Professor Main switches emphasis from the reasonable “profit-seeking” to “excessive profiteering”, a term packed with venal overtones, relates it to a negative response ,the “media scare story”, then jumps to a conclusion, using the nonne form, that regulation is the solution to this. The argument that regulation can act as a guardian for optimum welfare delivery in practice is pabulum. Regulation is a dead hand, uninspiring and demotivating. 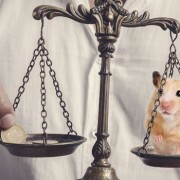 As for using the PSS to regulate the terms and conditions of veterinary employment, then he fails to understand how today’s veterinary management practice, a few scrapes beyond the “minimal” shows how current never mind future management practice has little time for “If-then” turnover based incentives. Current management practice develops the themes of purpose which are intrinsic motivators for vets and nurses. It provides how vets and nurses behave and what with and profit is just an outcome, rather than an end. That profit can be measured in a number of forms, not just by a monetary scale; profit as in enhanced service, time, professional development, personal fulfilment and even better animal welfare, but profit all the same. The motivation for this to happen in practice comes not through crude incentive but by granting those who perform a sophisticated task, like veterinary practice, the autonomy of behaviour they need. Regulation crushes autonomy. The drive vets have for mastery of the complex area of practice they find themselves in naturally complements their autonomy. Regulation straitjackets mastery. As the learned Professor points out “Individual clinicians would be well justified to say that their daily ambition in veterinary practice is to promote the interests of animals in their care..” Vets in practice are clear about their personal purpose, and their career purpose. This complements their right to autonomy and mastery as intrinsic motivators. Regulation which impinges on purpose by making it crudely prescriptive and filled with forbidden behaviours erodes purpose. It is corrosive, not supportive. All practice owners did their time as employees. This is an interesting argument, one that should occur but the suggestions in the piece are not credible. I take exception to the suggestion that BVA would not run a campaign to reduce lameness as the Sheep Vet Society are firmly behind the campaign to reduce lameness in sheep. Many farm practices newsletters contain such advice and much of our time is based on improving welfare by avoiding disease. We have to work with our clients and encourage them to adopt better welfare and at times that might involve not ignoring a situation, but picking the moment. I also take issue that we, as a profession, are animal welfare advocates. we should know what is best, we should know how to advise on best welfare, but I don’t see advocacy as part of an active campaign. I became a vet because it was interesting, running a vet business is also interesting. I also ran the business to make a living and I thoroughly agree with JGs last sentence. I for one in my humble opinion entered the veterinary profession for compassionate reasons and because I am an avid animal rights donor and campaigner. This kind of debate is suggestive of a fractional society who display nothing less than jealousy against honest, hard working, and ethically minded surgeons. I deplore any suggestion that our members are financially motivated. The market, good information dissemination is probably the best method. Do vets always act as animal welfare advocates?